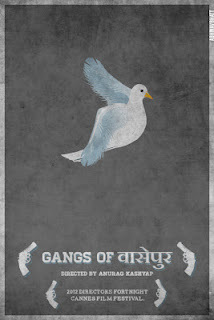 Not an official poster but a minimal based on trailer by Abhinav Bhatt. Disclaimer: Not a review. Not very much, atleast. If you are active on any social media platforms, by now you must have been bombarded with each song of this raving album. Yes, it's a rage. Ask why. Simply one reason: it's not a typical Bollywood music. I've said it earlier, Sneha Khanwalkar's music is not suitable for everyone's taste. You need maturity to understand or like her well researched music and arrangements. Fortunately, there's an increase in the number of such kind of audience.